We're once again excited to announce that we've upgraded our language package with a new language: Romanian! You can find the live version either from the gear icon in your Megaventory account or here. Both the application itself, which offers the possibility of running a business, as well as the website containing detailed information about the features of the system are translated and accessible to all Romanian speakers. From now on you can manage your inventory in one of the 8 available languages (English, Spanish, Portuguese, French, German, Greek, Arabic, and Romanian). Also, we will like to remind you that any admin user can localize their Megaventory account both to the language they prefer but also to the specific industry terminology - or indeed the preferred terms used in the particular business. It is highly important for us to help you manage your business operations in the language you feel most comfortable. So, if Megaventory is not yet available in your native language, send us an e-mail or tweet us! Megaventory serves clients in more than 40 countries around the world specializing in companies across many industries, in retail, wholesale, manufacturing or even services. If we can help so many business owners, we can help you too! The platform is constantly upgraded and expanded, providing access to the latest available technical how-to. In a constantly changing global market, you need to be at top of your game. Megaventory can be integrated with various applications like Magento and WooCommerce and prices start just from USD 9.90 per month! Now that it is available in Romanian, shouldn't you give it a try? 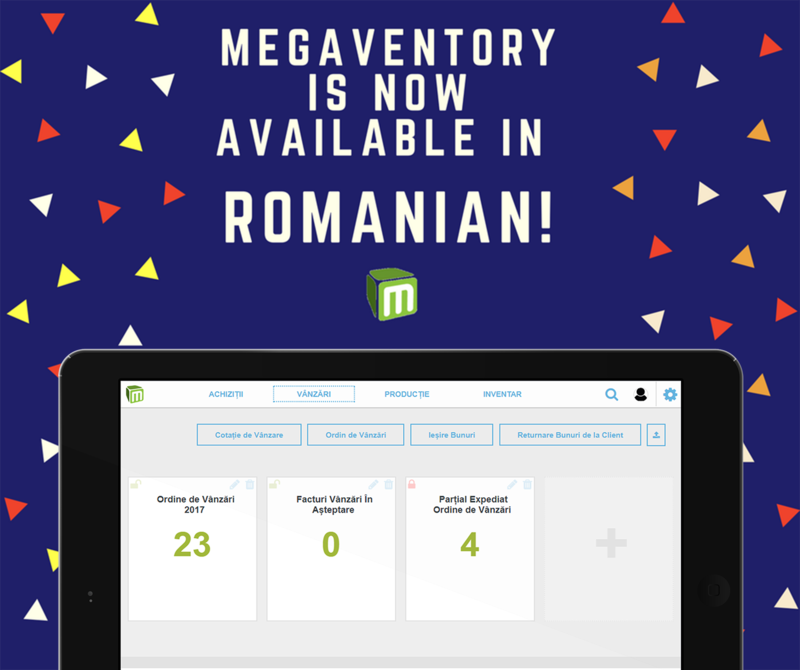 Sign up for a free trial of Megaventory in Romanian today!